We've started to introduce a few fly rods into the range. Scierra are offering great value and quality at a great price. 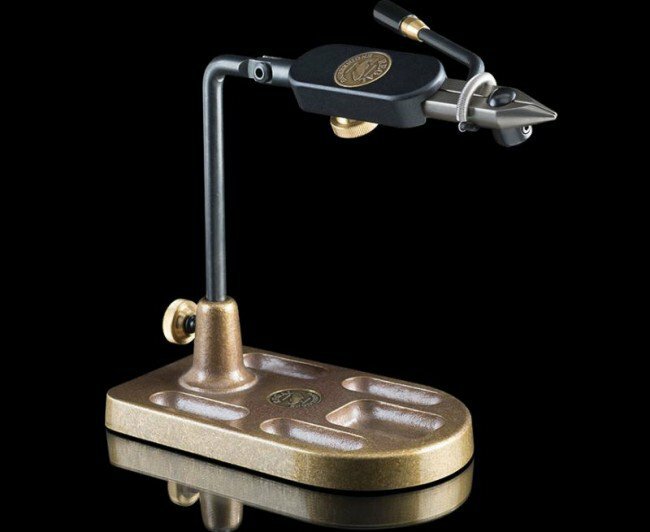 A great choice of bases from the travel, pocket or traditional to the standard c-clamp or royal clamp. 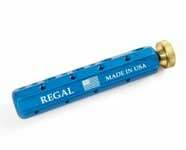 We are one of the largest UK dealers for Regal, carrying a good range instore. Welcome to The Fly Tying Company. We are a family run business based in North Staffordshire, around 3 miles from Junction 16 of the M6. We supply a great range of quality materials, tools and accessories to fly-fishers across the globe. We pride ourselves on our 'customer first' ethos which has enabled us to built a reputation for exceptional service. Although our core business is the supply of materials, we have also started to branch out into other area's of fly fishing and now carry a line of fly rods from Scierra and Marryat, leaders, tippets, running lines and terminal tackle from leading manufacturers. We are convenietly located with free parking outside of our shop. Drop us a call today on 01270 446101. One of the latest editions to The Fly Tying Company material range. Wapsi Fly have been in business for over 75 years and offer a complete line of materials, feathers, furs, synthetics. We’re proud to have such a wonderful supplier as a line within our shop. We are currently stocking a number of their synthetic and natural materials and the range of materials continues to grow. Wapsi materials are known for their quality so you can be rest assured that you are buying a product that will meet your expectations. If you have never come across Hends materials then we would strongly suggest that you take the time to look through the range. Hends, a Czech based material manufacturer supply the highest of quality fly tying materials. They supply some truly unique materials including the popular body quills, zonker strips, spectra dubbing, fritz and deer hair patches. Of late, Hends have also commissioned a range of Japanese manufactured hooks and typically in the fashion of Hends, the quality is fantastic. Partridge of Redditch have been innovators and market leaders in the manufacture of fly tying hooks since the late 1800's. Through the decades the company has been owned by both large and small businesses but today, is owned and operated by Fishing Matters Ltd. Albeit the hooks are not produced in England, their quality continues to be up there with the best, their innovative approach and drive to succeed still remains. Partridge have a fantastic range of hooks to cover all forms of fly-fishing, including a new range of new dry, wet, salt water, predator and New Salmon Hooks and a range of Classic Spider Hooks that are perfect for those traditional North Country Patterns. 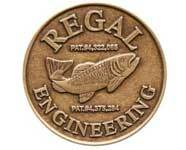 Not forgetting a great range of hooks for tube flies including singles, doubles and trebles. The newest addition to our portfolio. Daiichi, a New York based company has its manufacturing base in Japan offer a range of high quality fly tying hooks suitable for all types of fly fishing. They often state that they produce the finest, sharpest hooks in the world, a bold statement but one which has never been challenged; a testiment to their quality. Varivas i hear you say? Well for us Varivas are the unsung hero's of the fly tying world. Japan made, the quality speaks for itself. Popular with a number of fly tying professionals throughout the UK, the Varivas hooks offer both quality and strength for both Saltwater and fresh water fishing. Quality without compromise, Veniards are one of the oldest suppliers of fly tying materials in the UK. They know their busines and supply a wide range of materials, hooks and tools. Our material range with Veniard increases monthly so there is always something new being added to our website.